That's Ransom at right at La Brisa Property outlines in red. Photo courtesy of Curbed Miami. 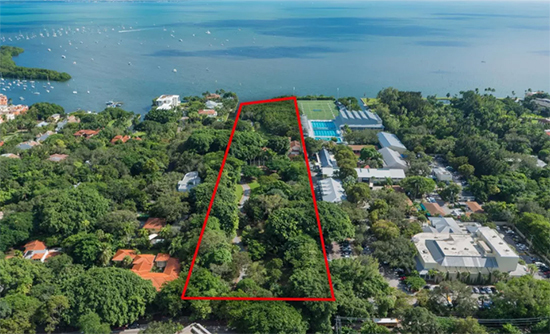 A neighbor of Ransom Everglades is suing Ransom Everglades, claiming that the school violated a 2010 agreement to protect her house on Royal Road next door. Caroline Weiss has filed an injunction to stop Ransom from destroying more of what they are destorying at the property next door. Ironically, Caroline is a developer and no doubt has destroyed many neighborhoods where her developments, mostly office buildings, have been built, since the 1970s. Ransom wants to expanding their campus into La Brisa, a property they purchased in 2016 which is good news and bad news - good because the property was saved from major development, bad because they are screwing with the property themselves and their expansion will no doubt add to the traffic woes around here. The Real Deal explains it here.